Born in a western New York family that did little traveling, I did not see, hear, or smell the edge of the ocean until I graduated from college. Ever since that June night at Jones Beach on Long Island, New York, I've been drawn in all seasons to places where the land and sea meet. 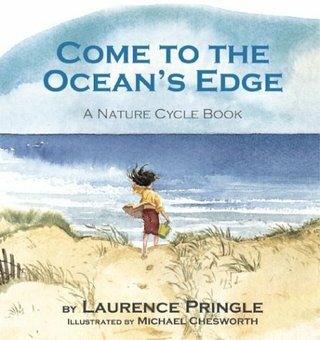 My love of ocean beaches, whether rocky or sandy, led me to write a simple, poetic text about the magic of the ocean's edge. I mailed it to a favorite editor in the spring of 1989. He rejected it, as did a series of others. By the fall of 1991, nine editors had turned it down. One called it "a mood piece." Another said it was "more of an adult poem than a children's text." Yet another wrote that my manuscript had "a lack of focus." Two editors turned it down, they wrote, because they had recently published, or were about to publish, something similar. Come to the Ocean's Edge is my 102nd book, published more than fourteen years after I wrote the first version. It exists as a book because I didn't give up, and because a good editor recognized a gem that needed polishing.